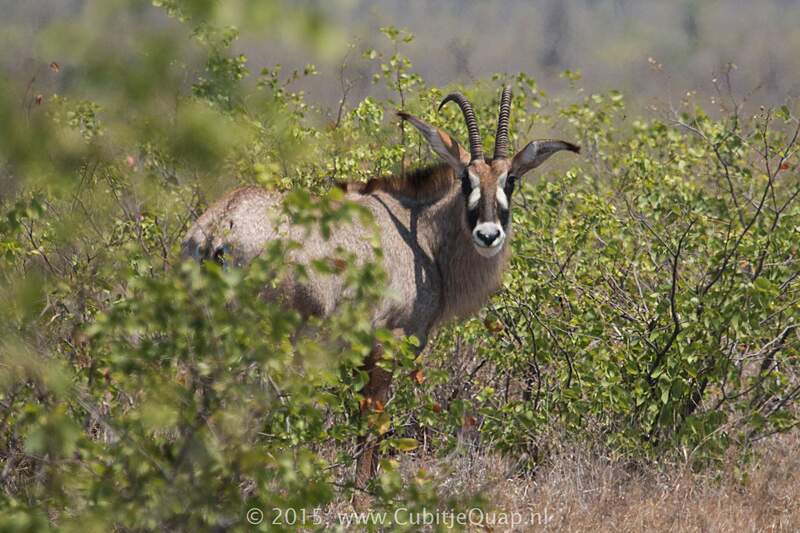 It is the second largest antelope species occuring in Africa (the largest is eland). It has a somewhat horse-like appearance with a general colouring of greyish-brown, often with a reddish tinge. The underparts are lighter. The face is distinctly marked with black and white, gingin it a slightly clown-like appearance and the long, narrow ears have prominent tassels of hair at the tip. The tail is long and tufted. A distinct, light-coloured but darker-tipped mane, runs from between the ears to just beyond the shoulders. 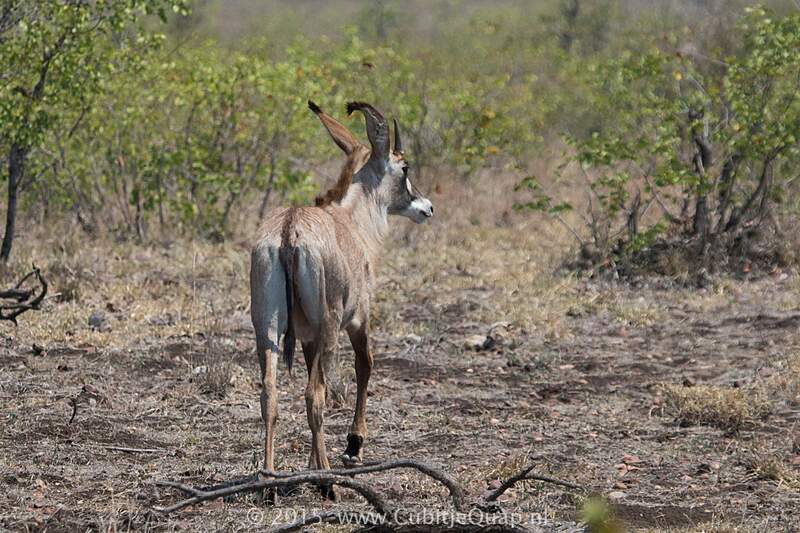 Both sexes can carry the back- curved horns but the cow's are lighter and shorter than the bull's. 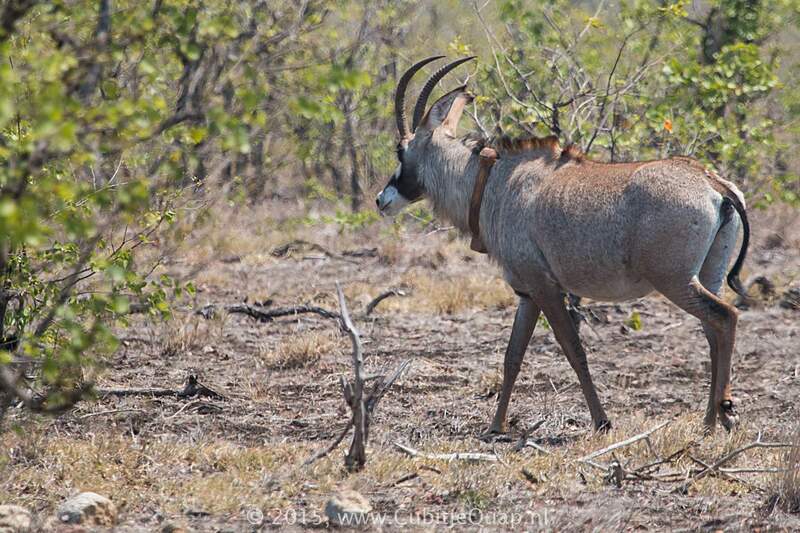 Roan antelope require open or lightly wooded grassland with medium to tall grass and access to water. They avoid areas with short grass. The live in small herds (5 - 12) usually led by an adult bull. Larger herds (30 - 80) have been recorded. Nursery herds, consisting of cows and young animals, occupy fixed areas that are defended by dominant bulls from approaches by other bulls. The herd itself is usually led by a cow, which becomes dominant over the other cows and juveniles. The bull is responsible for breeding and keeping competitors away and the lead cow selects feeding and resting areas. Two-year-old bulls are driven away from the herd by the herd bull and these join together to form small bachelor herds. 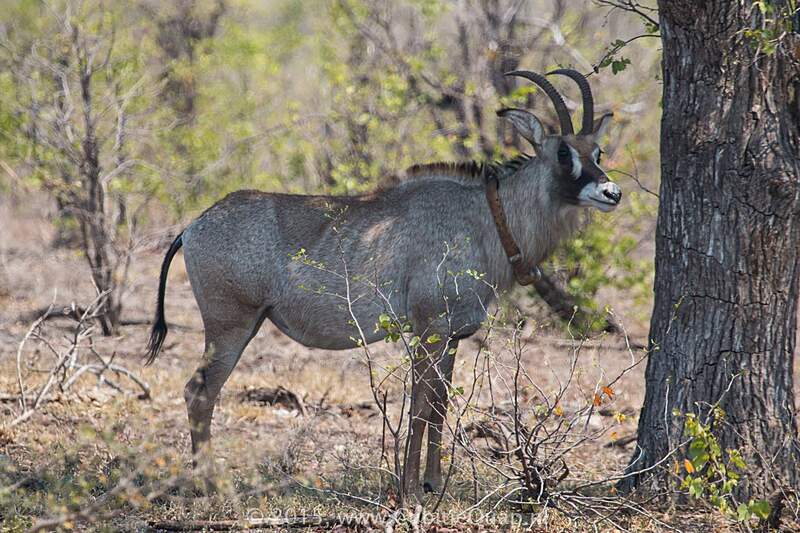 Adult bulls (5 - 6 years old) move off to live alone or take over nursery herds. Most activity takes place during the day. 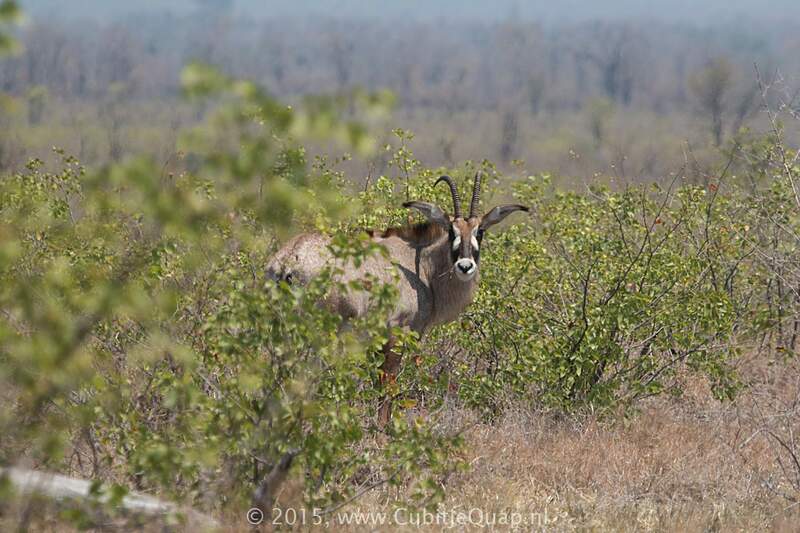 Roan antelope are principally grazers, selecting medium or long grasses. They rarely browse.